They don’t make video games like they used to. System Shock is a futuristic first-person action-RPG set aboard a derelect space ship. The game is celebrated for its chilling atmosphere, as well as some of its technological innovations. 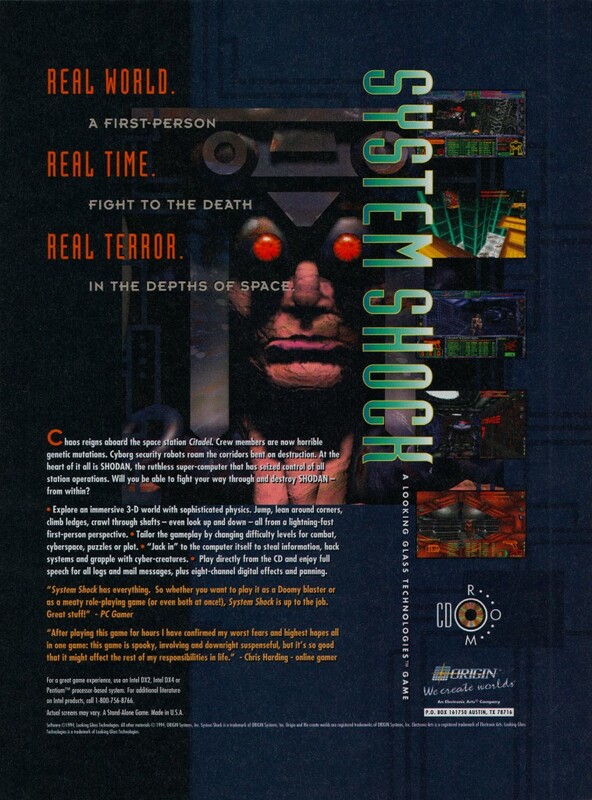 This ad is for the later CD-ROM release of the game, which added more detailed graphics, speech for logs and emails, and multiple display resolutions.